Chico, CA Civics matters in education. In Butte County, the California Civics Learning Partnership (CCLP) committee is here to say so, and to turn words into action. On Friday, October 26, the CCLP committee, supporters and students met for breakfast at the Diamond Steakhouse in Chico. 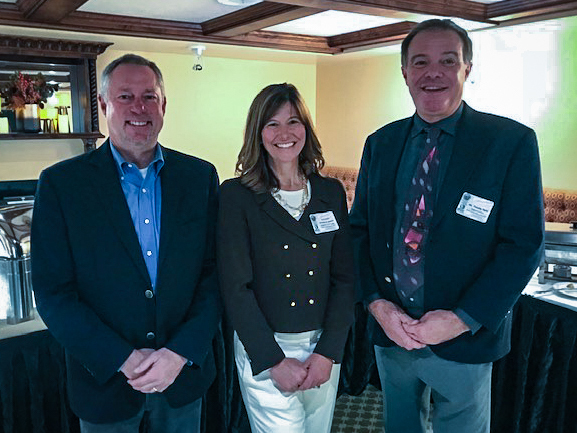 The Butte County CCLP committee is led by Judge Kristen A. Lucena of the Butte County Superior Court, Tim Taylor, Butte County Superintendent of Schools and Greg Martin, President of Ray Morgan Company which hosted the event. Judge Lucena provided the assembled group with an overview of state and local CCLP activities and outcomes and introduced a new website to showcase the committee's events, services and resources. Tim Taylor spoke about the importance of sponsoring student events that promote fun, competitive learning and encouraged those present to do so. Taylor also introduced John Crosby and students from CSU-Chico's Model United Nations so they could speak a little about all the Model United Nations program has to offer, not only to college students, but to high school and middle school students as well. Butte County is among the State's first, six counties to pilot the California Civics Learning Partnership (CCLP), formed in 2015. The other five counties are Alameda, Fresno, Los Angeles, Sacramento and San Diego. CCLP is expanding to include Humboldt, Imperial, Monterey, San Bernardino, Santa Clara, San Mateo, Orange, Ventura and Yolo counties. The overall goal of the CCLP is to develop civic literacy, disposition and participation of all K-12 students by integrating the Six Proven Practices in Civic Learning into instructional practice and school life, and also by providing civic learning models and resources that can be used by teachers and schools. For additional resources and more about CCLP in Butte County, visit CCLPButte.org.